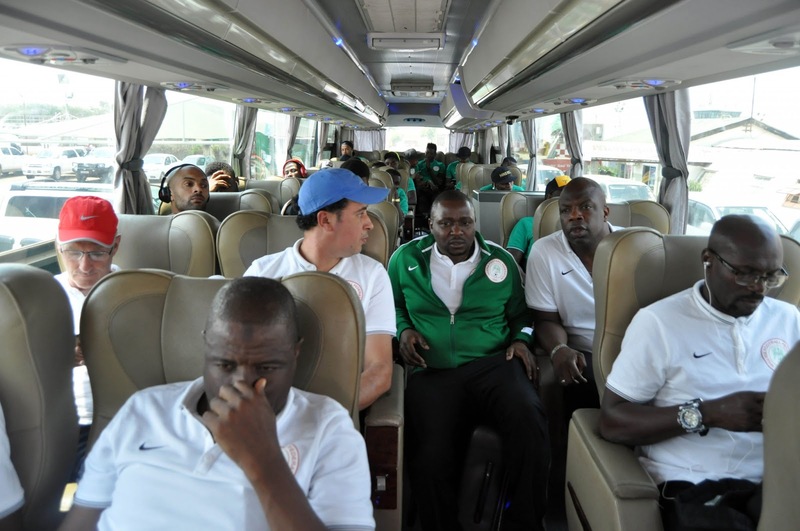 The Nigerian delegation to Sunday’s 2018 FIFA World Cup qualifying match against Zambia arrived in Ndola minutes afternoon on Saturday. The 148 –seater Arik Air Boeing 737-800 aircraft touched down at the Simon Kawewe International Airport, Ndola at 12.07pmZambia time (11.07am Nigeria time), after a 4-hour-and-20-minute flight from Abuja. Also on ground were NFF Director of Competitions Bola Oyeyode and Head of Protocol Tunde Aderibigbe who had left Nigeriaon Thursday as advance party of the Nigeria contingent. FAZ officias hinted thenff.com that football –loving President Edgar Chagwa Lungu is expected to be special guest of honour at Sunday’s match. have the official training at 4.30pm. Sunday’s encounter, the first FIFA World Cup qualifying match at senior level between both countries, will kick off at 2.30pm Zambia time (1.30pm Nigeria time).